Angela Bunnell liked the project "AlternativeFRBase". Angela Bunnell liked the project "GBA Intro Manager". Inactive account, I actually forgot I had this for a while. I found it again looking for Pokemon sprites. Angela Bunnell liked the project "Pokémon Christmas". 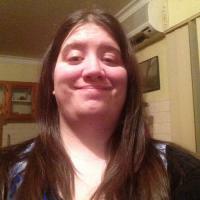 Angela Bunnell updated her profile photo.